Tokyo’s push to lift restrictions on the use of force oversees will contribute to closer cooperation between American and Japanese forces in Asia, the US Seventh Fleet commander said. Japanese Prime Minister, Shinzo Abe, has announced that in the coming months he plans to ask parliament to ratify his cabinet decision from July 2014 to allow the country to exercise its right of collective self-defense. The proposed bills are likely to pass as Abe's coalition enjoys a vast majority in the Japanese National Diet. Abe’s plans have been praised by Admiral Robert Thomas, commander of the US Seventh Fleet, which has its headquarters in Yokohama, Japan. 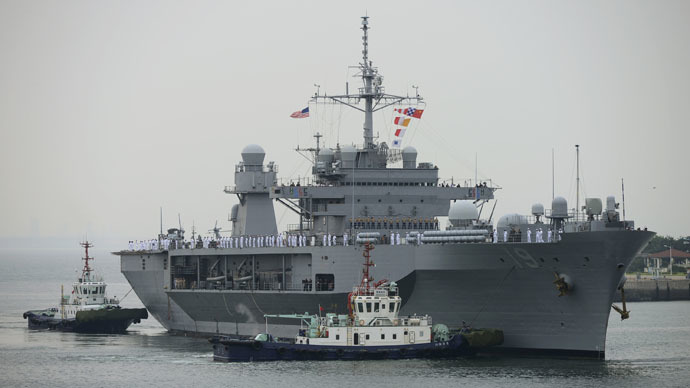 “CSD (collective self-defense) makes it easier for the Seventh Fleet and JMSDF (Japan Maritime Self-Defense Force) to exercise and operate across the Indo Asia Pacific," Thomas is cited as saying by Reuters. The drills and joint missions by US and Japanese naval forces may extend from Japanese territorial waters through to the disputed South China Sea into the Indian Ocean. Tokyo and Washington have no territorial claims in the South China Sea, but Beijing may find the US and Japanese presence in the area worrying. The South China Sea is contested by China, Vietnam, the Philippines and other nations in the region. Washington is actively supporting Japan’s increasing military role in Asia as a counterbalance to China’s growing naval power in the region; Beijing is taking an increasingly assertive stance in territorial disputes. 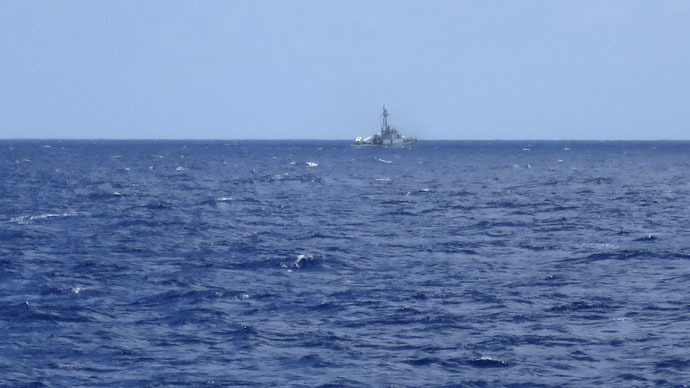 On Tuesday, US Pacific Fleet Commander Admiral Harry Harris Jr. has accused Beijing of “unprecedented land reclamation,” claiming China is “creating a great wall of sand” over four square kilometers. The People's Liberation Army Navy of China consists of 495 vessels, including 26 destroyers and 67 submarines, and keeps growing. The US Seventh Fleet is centered on a carrier battle group and has 80 vessels and 140 aircraft in its possession. 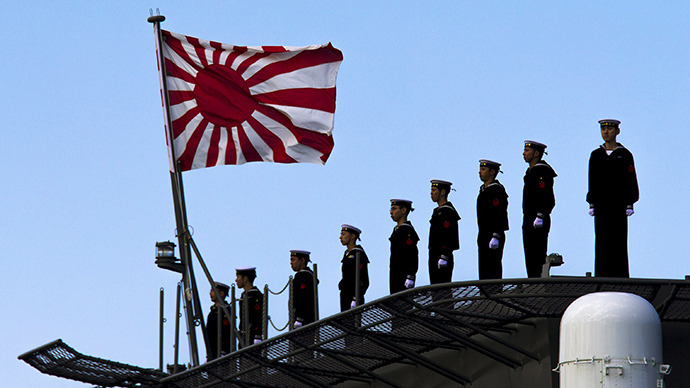 Japan’s navy also represents a significant power as it can rely on 120 vessels, including more than 40 destroyers and around 20 submarines. As the losing side in World War II, Japan was deprived of a military capability, with the country’s constitution outlawing war as a means to settle international disputes in 1947. The Japanese Self-Defense Forces were created in 1954 to maintain order in Japan and repel any possible invasion from outside, following the pull out of US troops out of the country due to the Korean War.